When booking an airfare, cruise, or hotel reservation online, companies often try to upsell you. Check one box to add a car rental. Check another to upgrade your room. You’ll also be asked if you want travel insurance, usually offered via a third party and covering everything from late-notice cancellations to health emergencies. Is the insurance worth it, or is it the extended warranty of the travel industry? When you opt for insurance, you’re paying a premium to protect yourself against financial losses as a result of interruptions to your travel plans. If a ticket is deemed nonrefundable by an airline, insurance could cover the cost. If they lose your bags, you might be entitled to item replacement. If you become ill, your plan may cover “gap” expenses, or fees that your existing health insurance might not. What a policy covers depends on the tier selected, as The Philadelphia Tribune points out. You might opt for a basic plan, or an all-in policy that minimizes the fine print. In most cases, you’ll be charged roughly 6 percent of the total cost of your booking for the coverage. For domestic travel, these policies may not provide you with a wealth of benefits. If you decide to simply cancel your trip, some insurers will require that you cite one of their specific covered reasons, like illness or a death in the family. You’ll have to provide documented proof when submitting your claim. Unless it's a very comprehensive plan, citing reasons of mood ("I don't want to go") won't get you any kind of refund. Other coverage may simply be duplicated by benefits you already have. Several hotel chains offer low or no-penalty cancellations, and most health insurance policies should cover any medical situations you encounter within the United States. Domestic insurance is a good option, however, if a family member is ill or you anticipate a better-than-average chance your trip might need to be postponed. International travel is a different story. 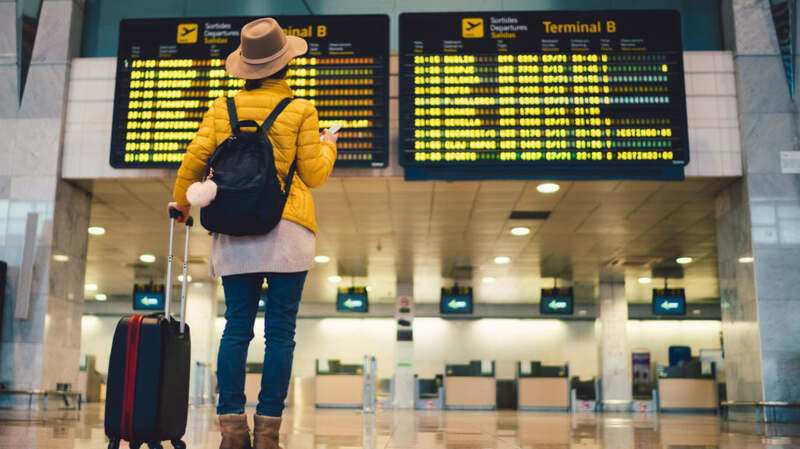 These flights are typically more expensive than domestic tickets and may have a more profound impact on your wallet if you’re unable to follow through on your plans. Your health plan may also get more restrictive with traveling abroad, particularly if you incur costs like medical evacuation. A recent AAA survey noted that 38 percent of respondents planned on purchasing insurance for future international trips. Before opting for any kind of insurance, check with the credit card company you plan to use for booking. Many offer travel insurance perks that could either supplement or even replace third-party plans.